Fishing out of Seward, Alaska is one of the best decisions you can make when traveling with your family. Learn about the increidble fishing & experiences that are available, there truly is something for everyone to enjoy. The Nushagak River in Southwest Alaska has one of the most prolific King Salmon runs in the state. Learn about the Nushagak River, when the best time to fish the Nushagak, the authors favorite King Salmon flies and more. Planning for your first Alaska fishing trip? Experienced anglers provide tips on preparing for your trip. Get advice on Alaska fishing licenses, to fishing equipment needs, and packing. Fall fishing in Alaska has to be atop most trophy fly angler's bucket lists. This is not only the perfect time for a trophy trout hunter, but it is also a great time for beginners and kids to get hooked on fly fishing. Learn more about why you should consider a late season Alaska fishing trip. Tips from an Alaska fly fishing guide to help you select the right flies for your Alaska fly fishing trip. Advice based on species, time of year & more. Tips & advice on planning a family fishing trip to Alaska from best time to go, location, fishing with kids more. Anglers from all over travel here each year for one simple reason: any cast could produce the fish of a lifetime. 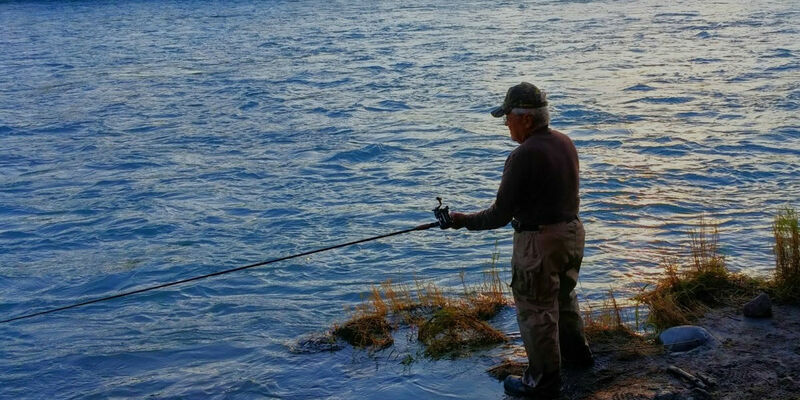 Tips & Info from a Kenai River fishing guide. Alagnak River fly fishing information and advice. Learn the best time to fish for various species on this remote body of water in Alaska. The Russian River boasts some of the most unique fly fishing opportunities on the Kenai Peninsula. Tips & Info from a Russian River fishing guide. Thinking about going on an Alaska fishing charter? I am going to tell you what to expect from a saltwater Alaska fishing charter based on my experience running my charter boat out of Seward, Alaska. The Bristol Bay Area Watershed in Alaska has hundreds of streams, lakes, and rivers. Learn more about the incredible fly fishing experience that awaits here. Beer Battered Salmon recipe from John Perry, Owner of Angler's Alibi Fishing Lodge. Enjoy as an appetizer or paired with your favorite sides for a delicious dinner. One of the newest contributors to My Alaskan Fishing Trip is Cecilia "Pudge" Kleinkauf. She is Alaska's leading woman fly fishing instructor, fly tyer, and guide. We asked her a few questions to help you get to know her better. A look back at 2016 Alaska Silver Salmon fishing season on the Alagnak River. Highest water in 40 years and over 50 Silver Salmon in a single day! Seward, Alaska is where travelers come to stay, explore, and fish. 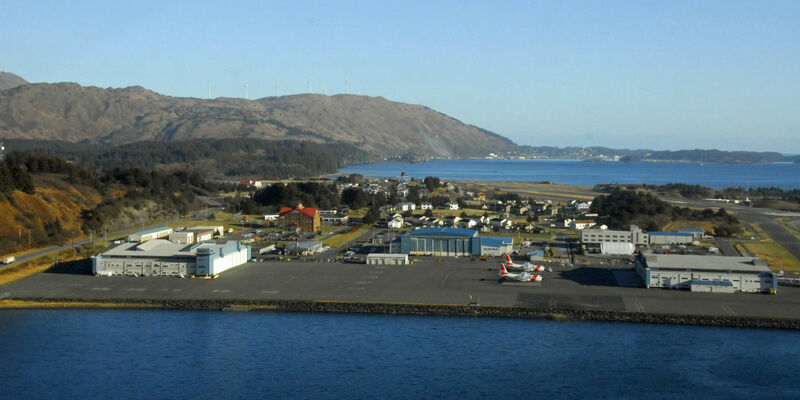 Get info from a local boat captain on how to get here and some of his favorite things to do in Seward. We talked with a Urs Wehrli of floaters.ch who is experienced in Alaska Float Fishing Trips asked him about some of his best tips & experiences. We explain the differences between charter boats, the many choices you may have when choosing a charter, and how to make the right choice for your trip. Father's Day is coming up quick but it's not too late to avoid getting your dad another tie, wallet, or screwdriver. We've put together a few fishing related gift ideas that work for any dad that likes to fish. In the past 20 years of my fishing in Alaska, by far, our best fishing has been during or right after big storms with rain. Owner & head guide of Anglers Alibi, John Perry, looks back at 2015 Alaska Silver Salmon fishing season on the Alagnak River. Cooper Landing, Alaska offers fishermen an amazing set of fishing opportunities. View tips on making the best of your Cooper Landing fishing trip. Looking back on the year 2015, we wanted to highlight the three most popular blog articles that were published on the site. With the nearest town 75 miles away, Anvik River Lodge is a truly remote and outstanding fly fishing lodge. Read all about the incredible experience that awaits. Ask us about anything related to Alaska fishing or general travel and we will get you some answers from guides, lodge owners, and other knowledge resources. These destinations should top every fly-fisherman's bucket list. Want to catch a 50 inch trout on a dry fly? Or fly-fish the crystal blue waters of Patagonia? Katmai Lodge is one of the most outstanding fly fishing lodges that Alaska has to offer. Read all about the incredible experience and fishing that awaits. A review of Scott Haugen's book "Flyfisher's Guide to Alaska"- Expect to find plenty of value, tips and secrets about fishing in Alaska. Sheefish fishing along the Kobuk River system is an amazing adventure that puts you right in the heart of wild Alaska. Alaska Fishing Halibut Guide: Where to find them, their behavior, habitat and how to catch them. My Alaska Fishing shares the secrets of the Dolly Varden char, including their feeding habits, habitat, and tips on places to stay that fish Dolly Varden. A guide to understanding the habits of Alaska King Salmon. This guide will help to improve your Alaska Fishing Trips. Inside find information on where to stay, how to fish, and some of the behaviors of these awesome fish. Top ten things to do while visiting the Kenai Peninsula. Alaska is an all-in-one experience that keeps travelers coming back again, and again. Alaska is one of the remaining vast frontiers offering endless hours of exploration and discovery. The Kenai River offers 82 miles of freshwater fishing paradise that is perfect for Pacific Halibut and King salmon. Fishing in Alaska, What could be better?